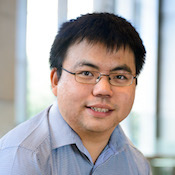 Sheng Yeo co-founded OrionVM while attending the University of Technology in Sydney, Australia. From their dorm room his team hatched an idea to build an IaaS company using a completely new technology blueprint. Sheng leads the team as CEO and drives innovation within the firm, supported by his versatile background, detail-oriented nature and strong management skills. Sheng has worked across every function of a company and brings over seven years of technology experience to the organization. He received recognition by the EY Entrepreneur of the Year 2013, he has been a lecturer for undergraduate and post-graduate Cloud Infrastructure subjects at the University of Technology in Sydney, Australia and has presented at several industry conferences including Aus-Cloud, Tech23, the NICTA NSW Government Cloud Briefing, Cloud Partners, Cloud Expo West, Pacific Telecom Council and a CeBIT Presentation on the Use of Cloud IT. 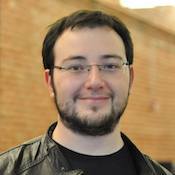 Alex Sharp co-founded OrionVM in Sydney, Australia. As CTO, Alex architects and manages the construction of the technology that keeps OrionVM on the cutting-edge of cloud computing. In addition to his role at OrionVM Alex is a strong supporter of the startup community, serving as a Director at AusCloud and a technology advisor at Collusion. He also provides mentorship to new ventures at Incubate, a startup incubator run by his alma mater, the University of Sydney, where he studied both Science and Information Technology. He has also provided technical advice to groups within NICTA, the University of Sydney and UNSW, and was a guest lecturer for the postgraduate cloud computing course run by the University of Sydney. Alex recently received the Hills Young Innovator of the Year iAward in 2014 in the cloud category for his founding role and technical contributions to the OrionVM Wholesale Cloud Platform. Daniel leads Marketing and Partnerships at OrionVM driving the creative, communication, and strategic partner programs. He has been responsible for securing and managing key alliances with leading partners such as SYNNEX and AT&T, as well as directing product marketing, branding, and channel distribution for the company. Daniel’s extensive 20 year tech background spans the gaming, mobile, and cloud industries and includes heading marketing for Verizon Games, launching an award winning B2B mobile ad platform, and speaking at various conferences including HostingCon, IAB Mixx, Converge, Founders Space and AppNation. 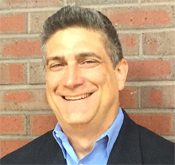 Daniel has a BA in Philosophy from San Francisco State University and holds 6 domestic/international patents. Gordon Bell is a Researcher Emeritus at Microsoft working on lifelogging. He spent 23 years at Digital Equipment Corporation as vice president of R&D; while there, he was responsible for the first mini- and timesharing computers and led the development of DEC’s highly-successful VAX architecture. From 1966-1972 he was a professor of Computer Science and Electrical Engineering at Carnegie-Mellon University. With Ken Olsen, DEC CEO, and Gwen Bell, he founded the Digital Computer Museum in Marlborough, MA (1979); becoming The Computer Museum, Boston, MA (1984); and The Computer Museum History Center, Mountain View, CA (1999, prior to the Computer History Museum (2000). Bell was involved in designing many products at Digital, and startup companies, and has been an investor/advisor/board member to over 100 startups. As the first assistant director for computing at the National Science Foundation (NSF), he led the National Research Network panel that became the NII/GII, and was an author of the High Performance Computer and Communications Initiative. He posited Bell’s Law of Computer Classes (1972-2008) accounting for the new kinds of computers e.g. mainframes, … personal computers that come into existence roughly every decade. Bell is also the author of several books and papers on computing, entrepreneurship, and lifelogging. He is a fellow of the Association of Computing Machinery, IEEE, National Academy of Engineering, National Academy of Sciences, the American Academy of Arts and Sciences, and the Australian Technological Sciences and Engineering. In 1991, Bell received the National Medal of Technology from President George H.W. Bush. 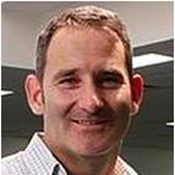 Stephen Baxter is an investor and entrepreneur with a background of starting Internet based companies in Australia and working overseas on large scale data networks. He is one of the ‘sharks’ on the Australian television series Shark Tank. Mr Baxter has a long list of achievements in the technology industry including starting an ISP in 1994, SE Net in Adelaide, which quickly grew to be a substantial player not only in South Australia but also nationally. 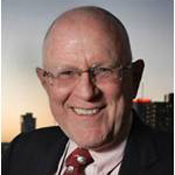 Mr Baxter was involved in early Internet community work with committee appointments to the South Australian Internet Association, the Australian Domain Name Authority (forerunner to AuDA) and the IIA. Mr Baxter worked tirelessly in the industry in South Australia and nationally to assist the industry to understand the benefits of cooperation with respect to Internet peering. This culminated in the formation of the South Australian Internet Exchange (SAIX) and then work with the Ausbone collective effort. In 2001 Mr Baxter founded PIPE Networks (ASX:PWK) with a school friend. PIPE started as a provider of telehousing and peering services with the operation initially based in Brisbane and quickly expanding to Sydney, Melbourne, Hobart and Adelaide. PIPE Networks started to deploy dark fibre to customers very soon after this. In March 2010, TPG Group (ASX:TPM) acquired PIPE Networks under Scheme of Arrangement for a consideration of AU$373M. 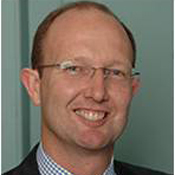 Mr. Craig Butcher has been Senior Adviser at Mid Europa Partners LLP since 2011. Mr. Butcher was Senior Partner of Mid Europa Partners from 2001 to 2011 and managed the Budapest office. He serves as Head of AIG Emerging Europe Infrastructure Fund’s Budapest team of Pinebridge Capital Partners, Inc. He also served at Pinebridge Capital Partners, Inc. Mr. Butcher is a Partner at Inivitel Távközlési Szolgáltató Rt, where he was a Director. Prior to joining Mid Europa, he was part of the EMP Europe team for four years. Previously, Mr. Butcher spent six years at EBRD. He also worked at Boston Consulting Group and Christchurch International Airport Ltd. He served as the Chairman of Magyar Telecom B.v. He served as the Chairman of Invitel Távközlési ZRt. and Invitel Holdings A/S. He served as Vice-Chairman of Invitel Holdings A/S from December 18, 2009 to January 2013. He serves as a Director of Pinebridge Capital Partners, Inc. Mr. Butcher serves as a Director of Waberer‘s Holding Pte. Co., Falcon Group s.r.o., Waberer’s, T-Mobile Czech Republic a.s., and UAB “BITE Lietuva“. He serves on the Boards of Karneval and the Norican Group. He served as Director of Magyar Telecom B.v. since May 2013. He served as a Director of Magyar Telekom Telecommunications Public Limited Company since May 2013. Mr. Butcher served on the Board of Magyar Telecom B.V., Ceske Radiokomunikace AS and Invitel Távközlesi Szolgáltató Rt. He served as Director of AIG Capital Partners, Inc. He was a Director of European Private Equity and Venture Capital Association. He was employee at The European Bank for Reconstruction and Development. Mr. Butcher holds an M.B.A., with distinction, from INSEAD, France and a B.Sc. in Mathematics, with First Class Honors, from Canterbury University, New Zealand. 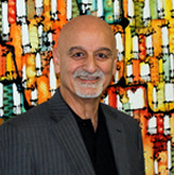 Elie brings a depth of knowledge and experience in commercial enterprises, having held executive management positions in both the public and private sectors, focusing on the IT industry and high-tech innovation generally, both in Australia and overseas. Elie’s experience includes Country and Regional Management, General Managment, CIO, Major Business Transactions, Sales Management in Software, Hardware, Professional Services and Consultancy and as a Board Member for a number of companies. Elie has successfully applied his diverse knowledge and experience to help deliver benefits for NOAH clients through R&D support programs.